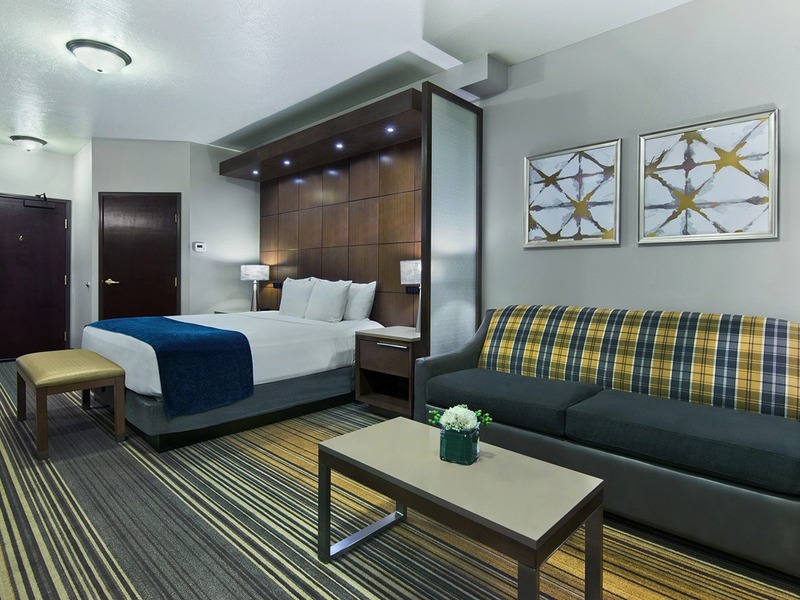 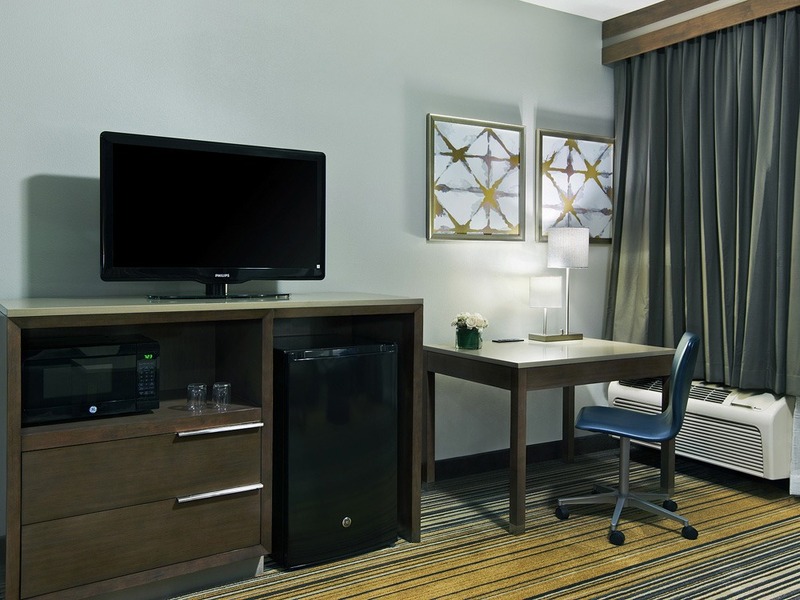 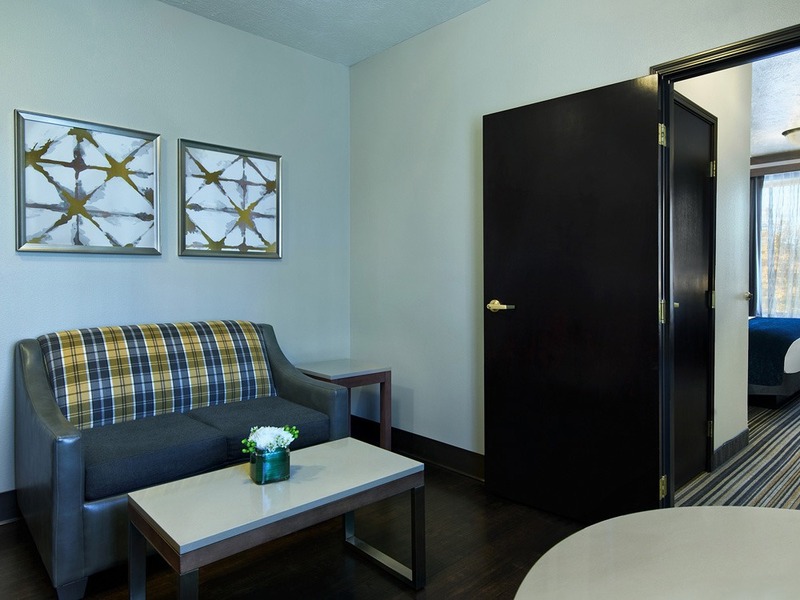 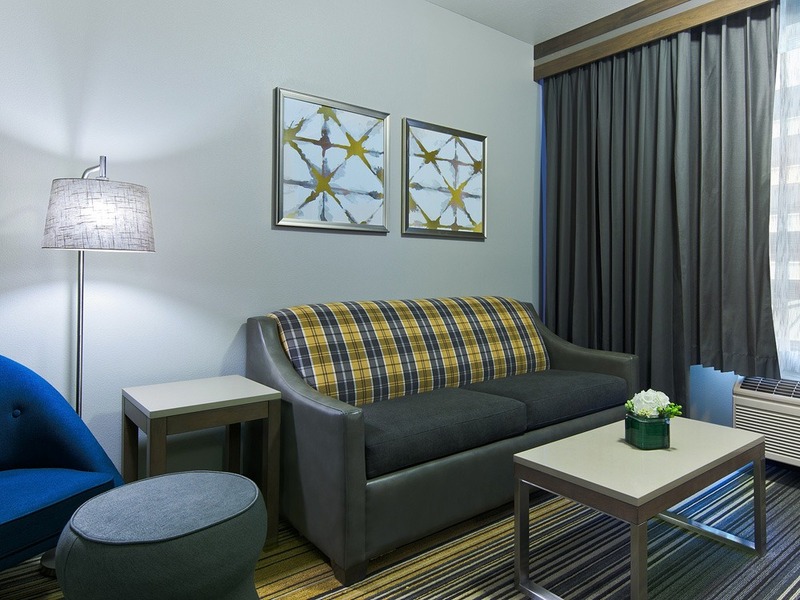 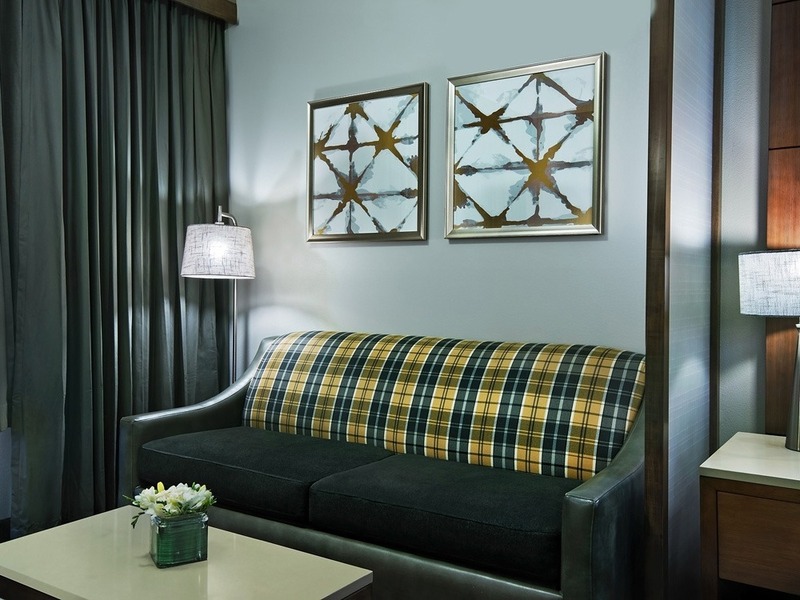 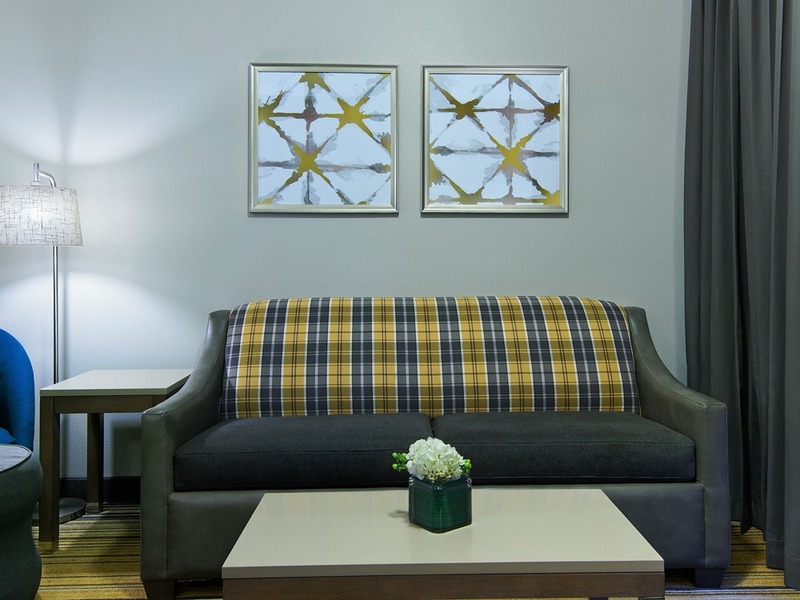 You'll love the extra space and privacy of our bonus room when you choose our family suite. 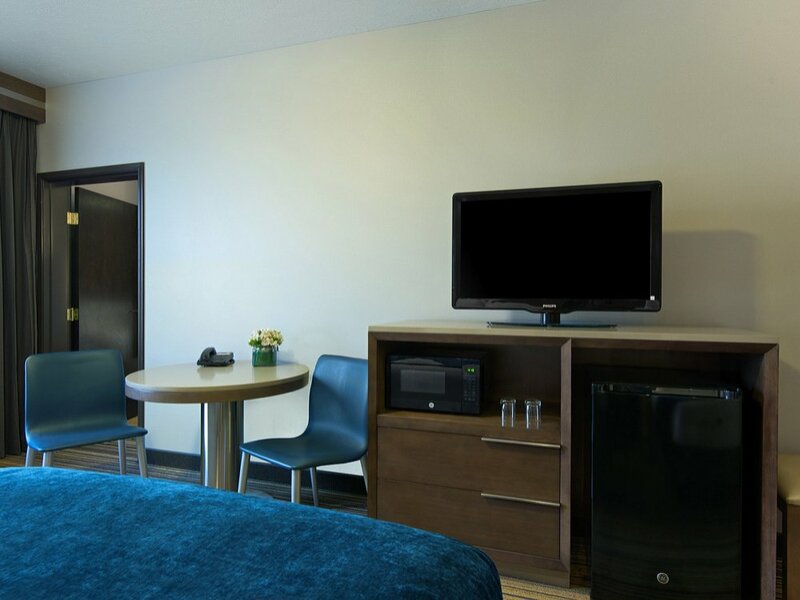 The main room is furnished with two queen beds, a bathroom, flat-screen TV, sitting area, and sofa. 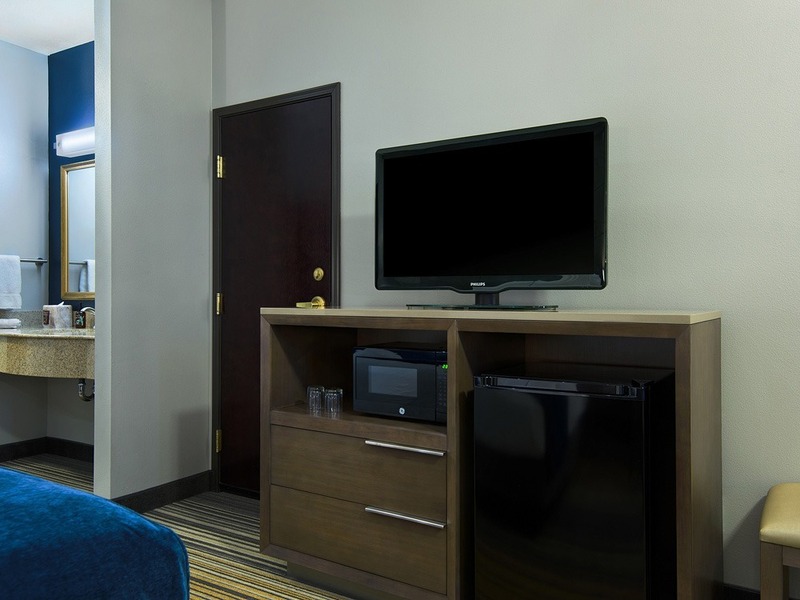 The bonus room is furnished with one king bed and flat-screen TV. 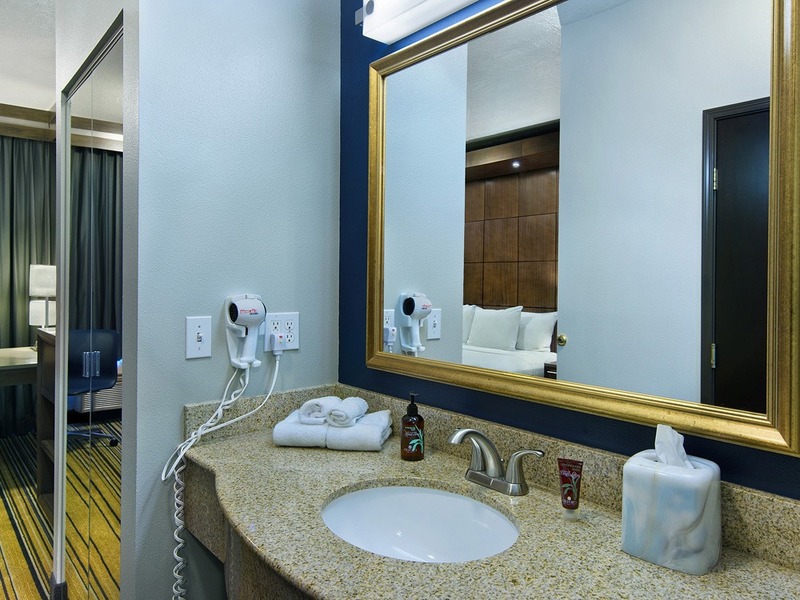 This suite is also equipped with microwave, refrigerator, iron/ironing board, hairdryer, coffeemaker, alarm clock, secure wired and wireless internet, and telephone with voicemail. 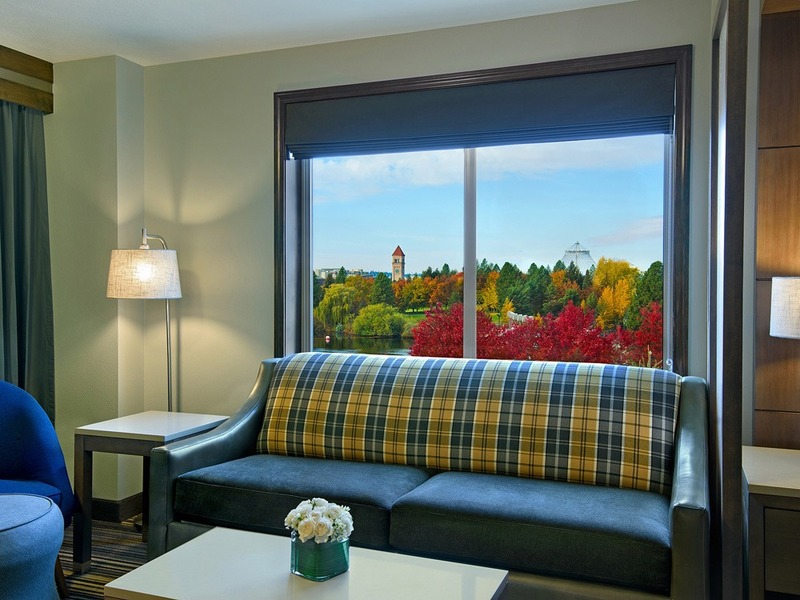 Your very own room with a view awaits! 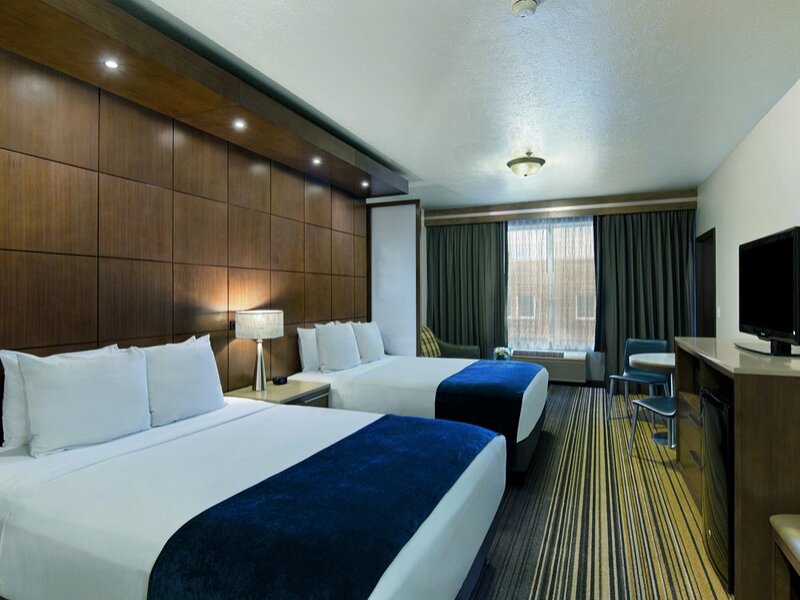 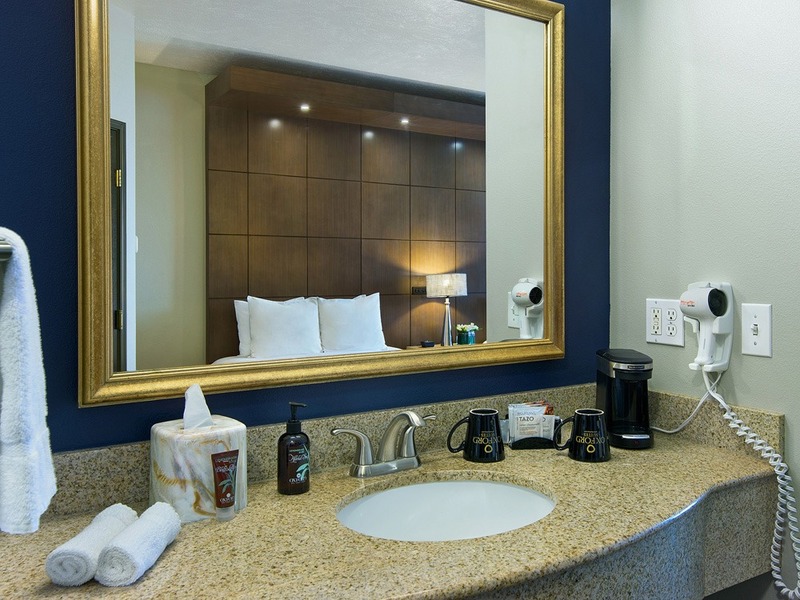 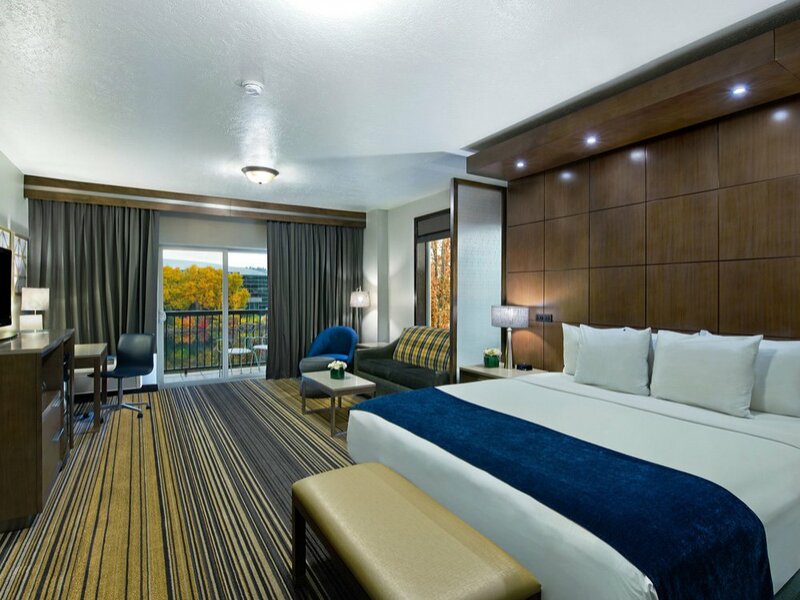 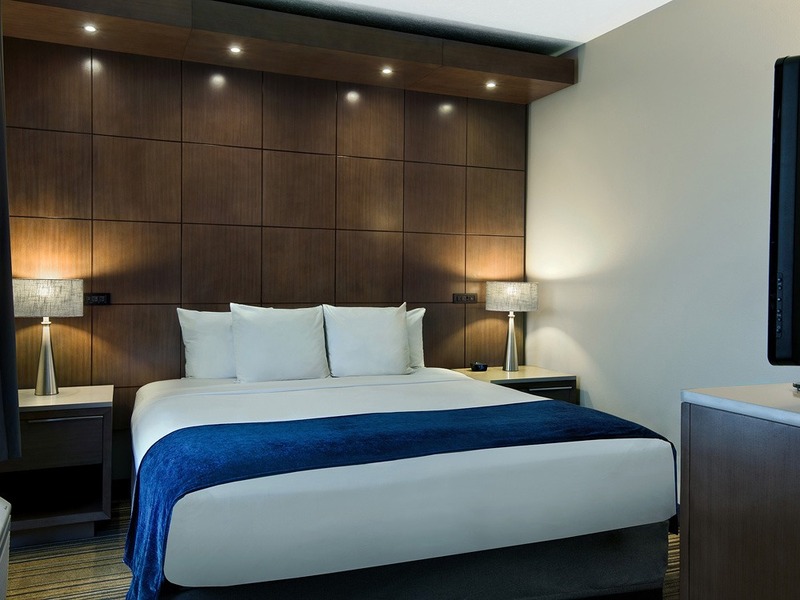 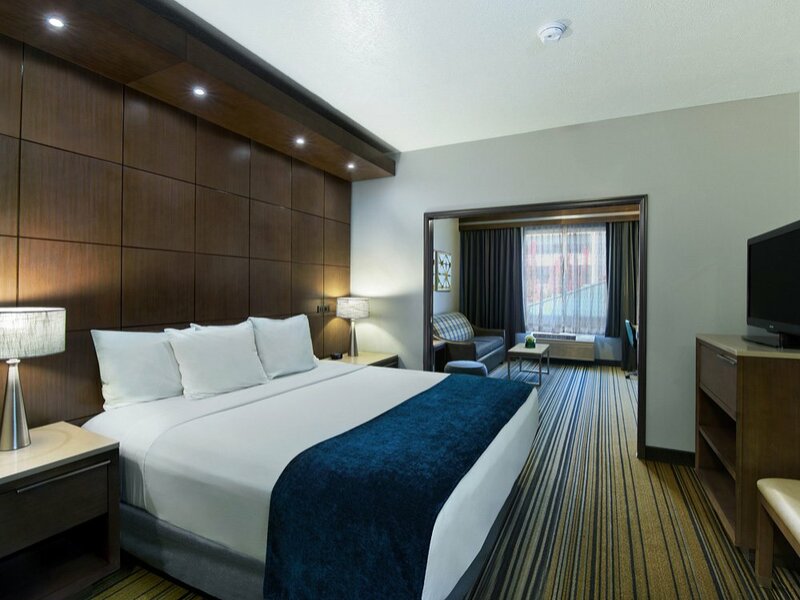 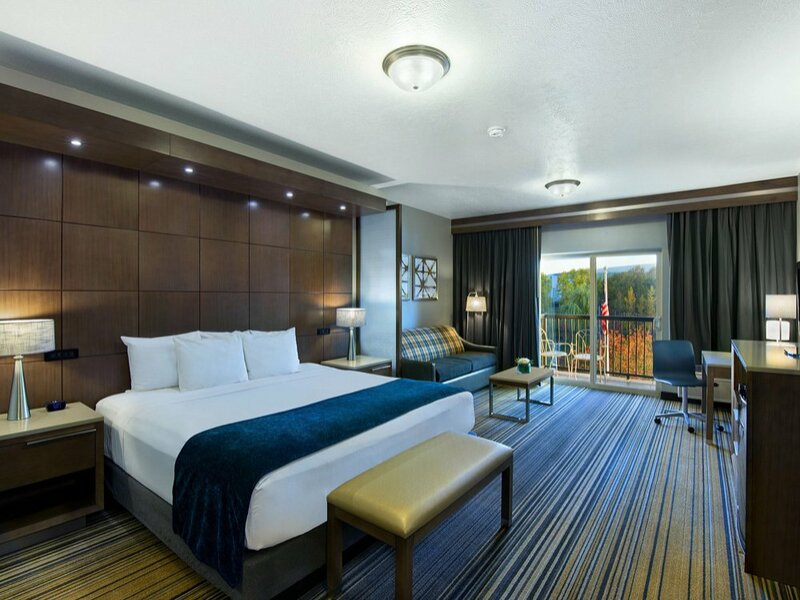 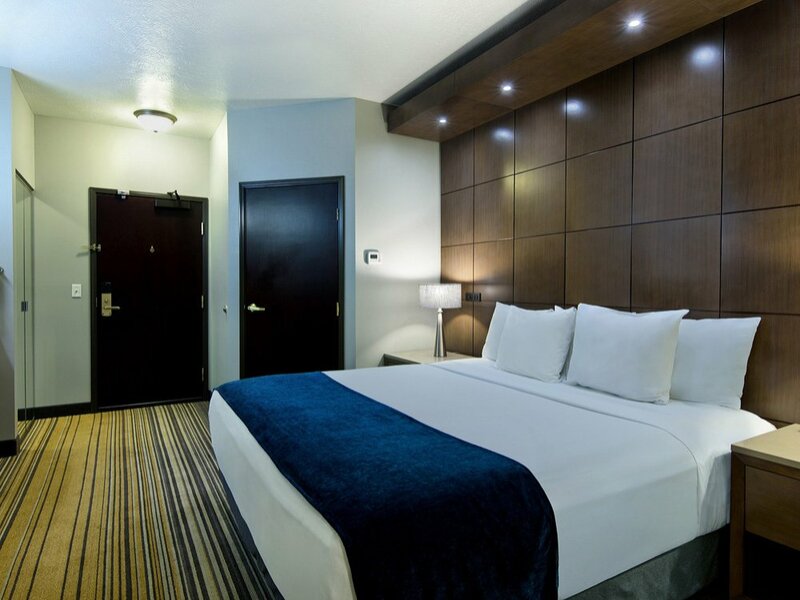 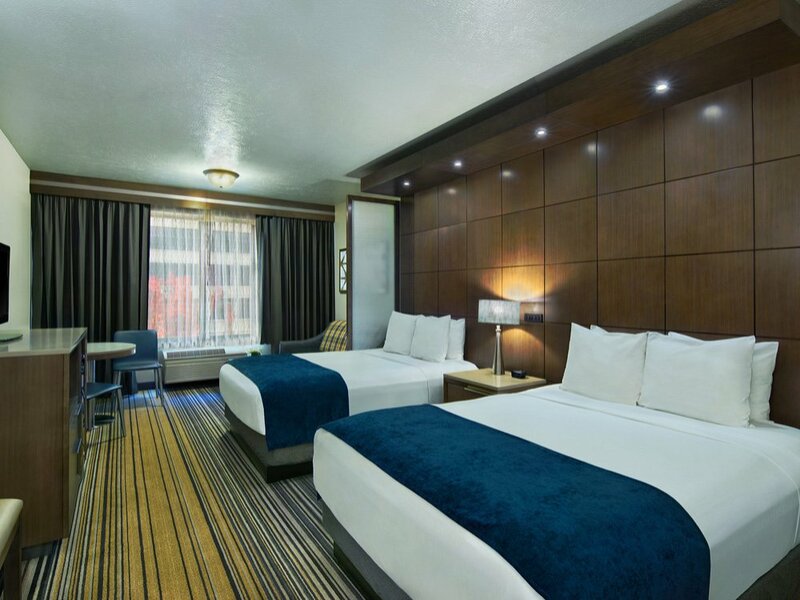 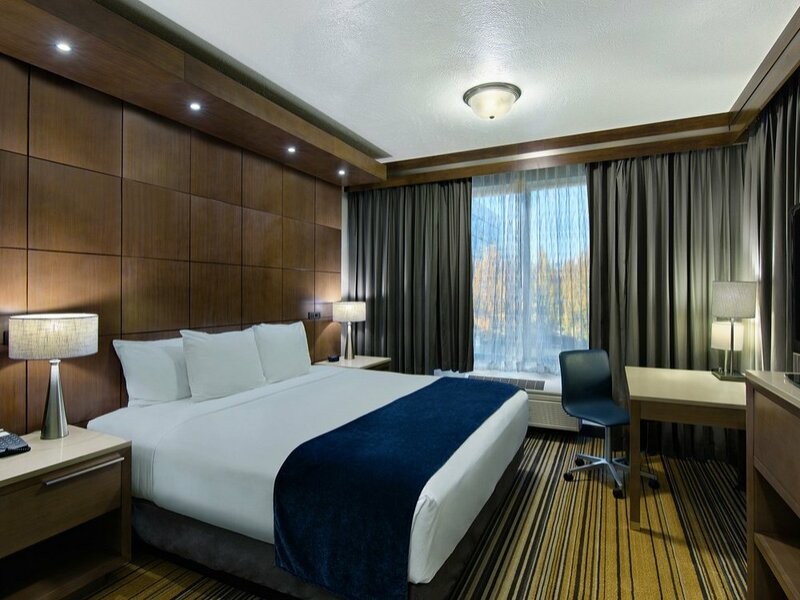 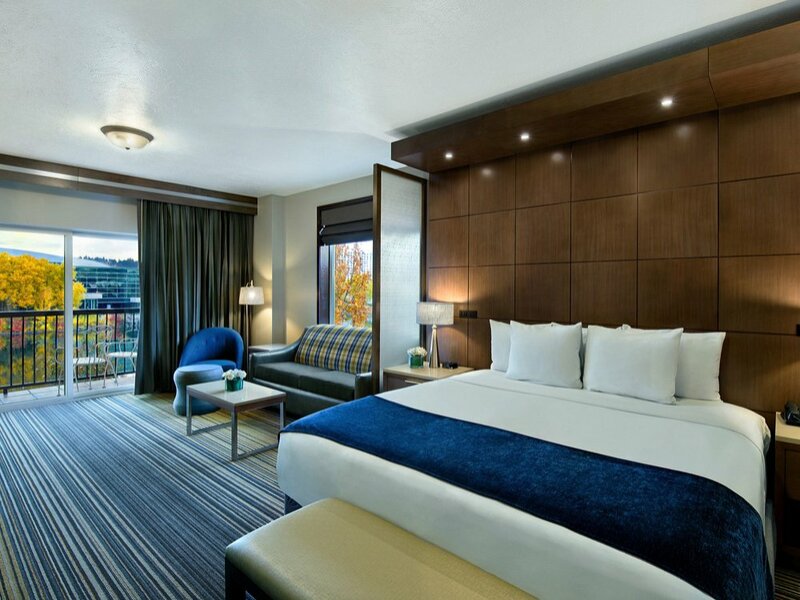 Our suite offers a king bed, a full bathroom, two flat-screen TVs, and a balcony overlooking the Spokane River and downtown Spokane's Riverfront Park. 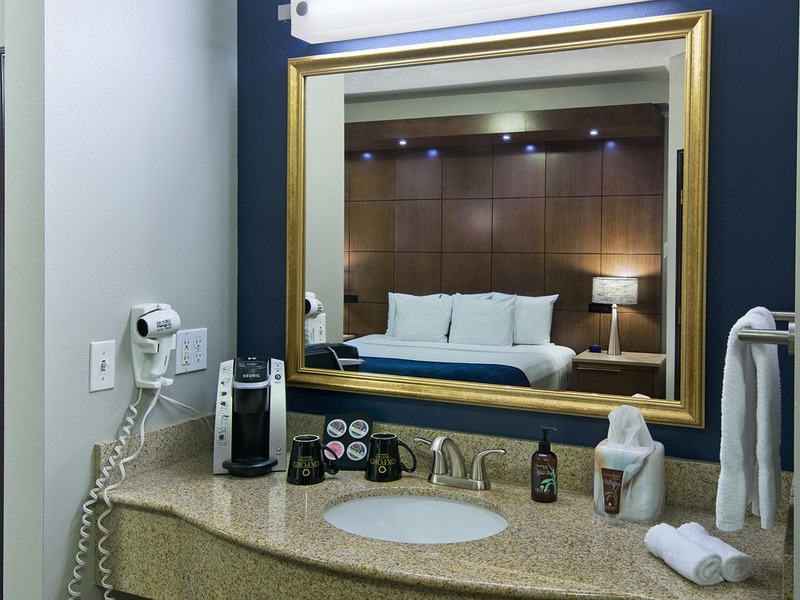 The room also includes a refrigerator, microwave, work area, coffeemaker, hairdryer, iron/ironing board, alarm clock, telephone with voicemail, and secure wired and wireless internet. 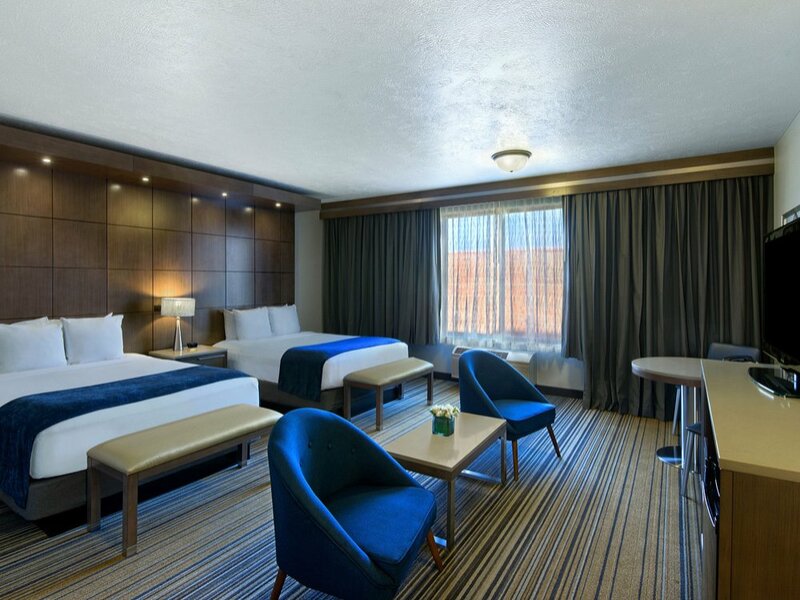 If you can't be at home, you want to be here! 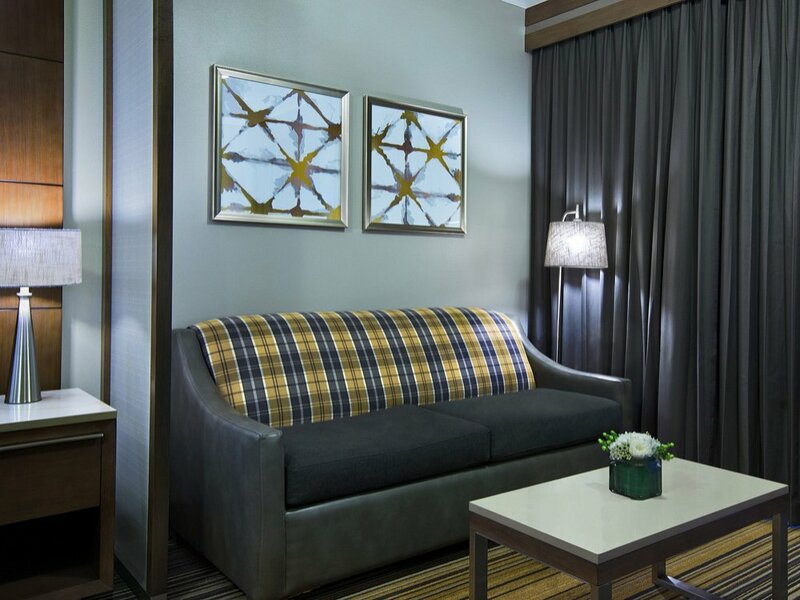 This fabulous suite is furnished with one king bed, a bathroom, separate room with twin sofa sleeper, bistro table, and two flat-screen TVs. 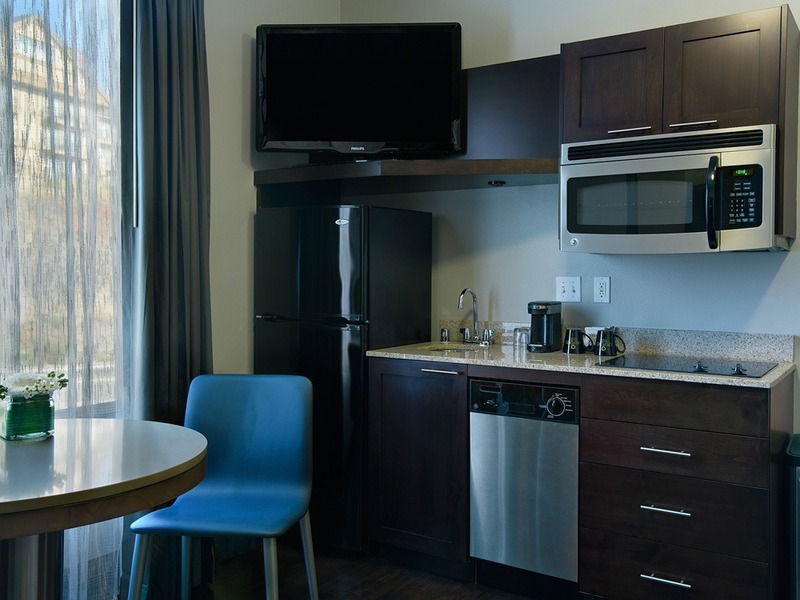 Making meals is a snap in our kitchenette which includes a stovetop, microwave, sink, dishwasher, full size refrigerator, toaster, and coffeemaker. 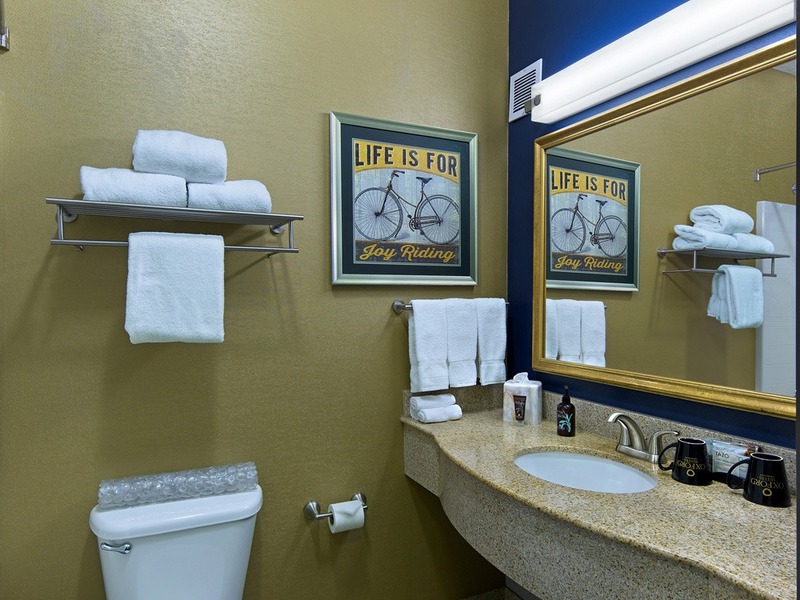 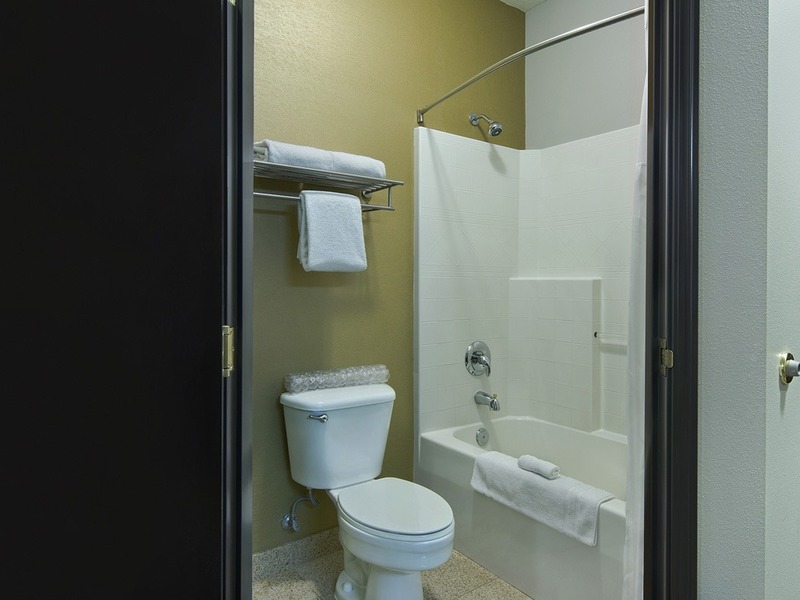 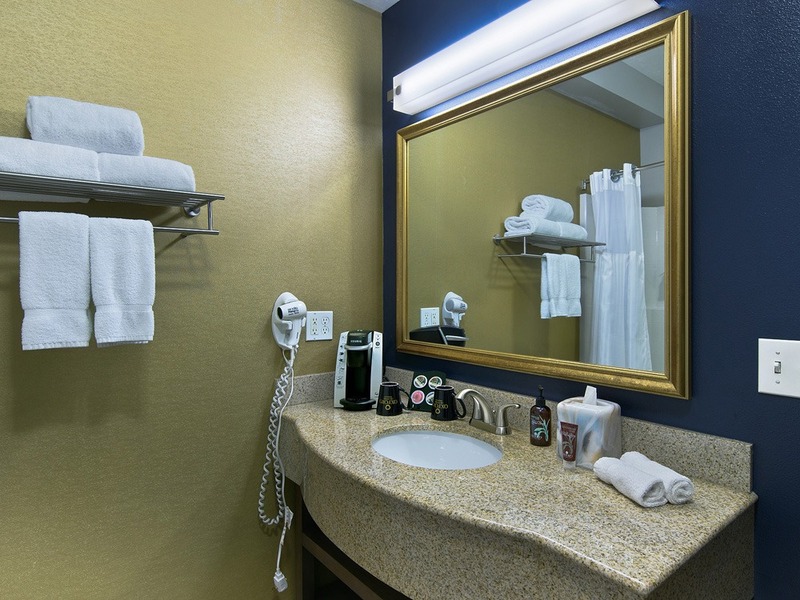 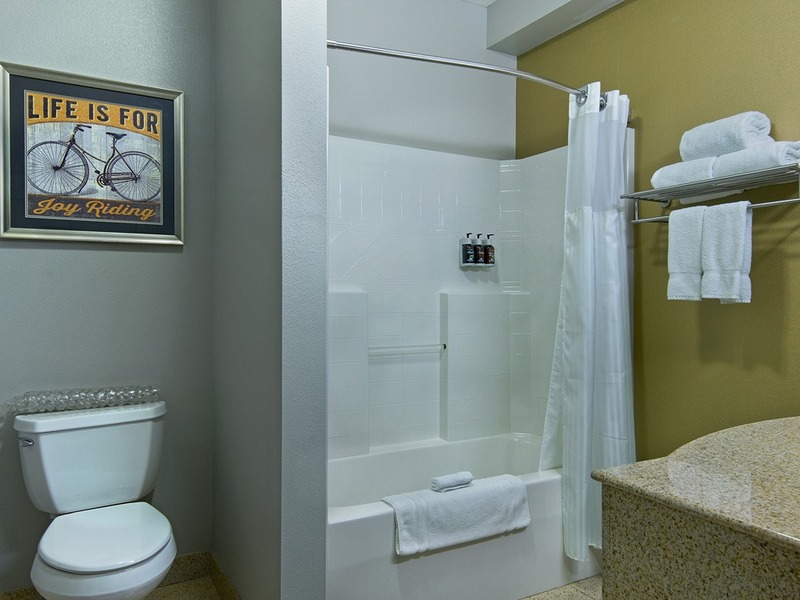 Additional amenities include a hairdryer, iron/ironing board, alarm clock, secure wired and wireless internet, and telephone with voicemail. 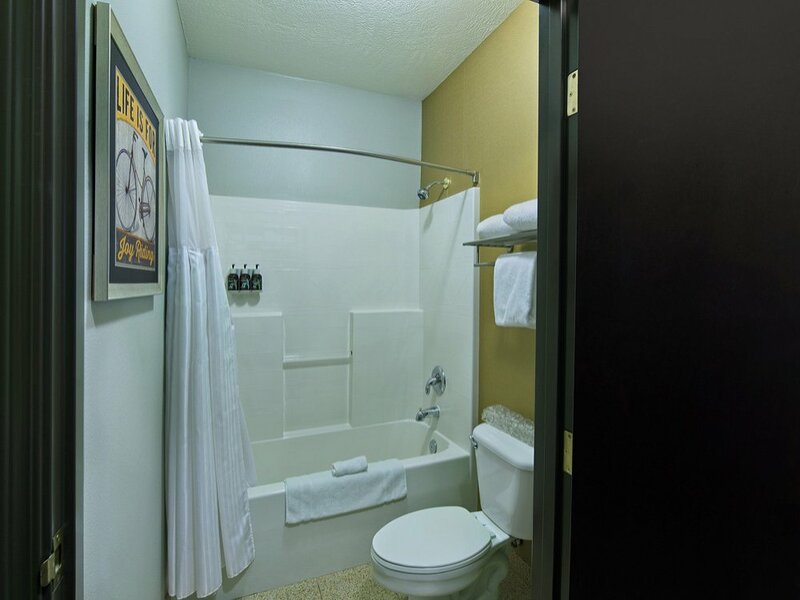 A great choice when you may need more privacy. 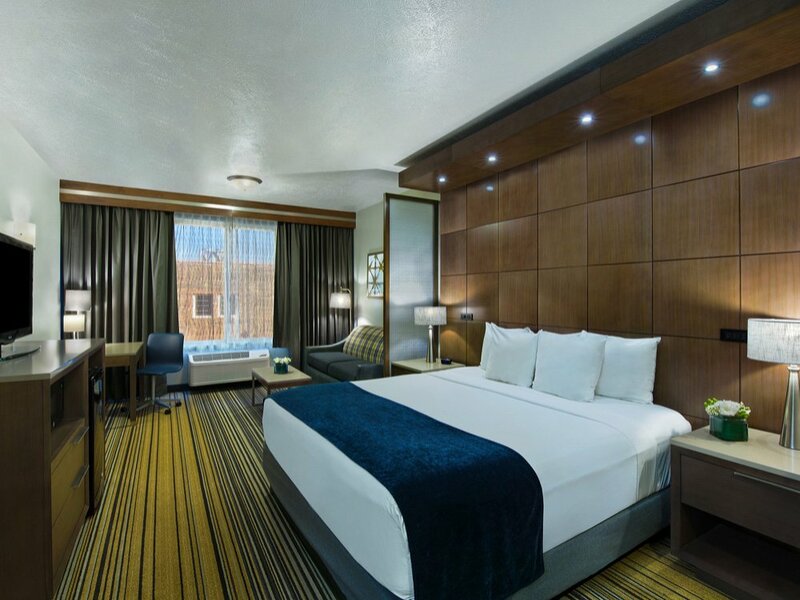 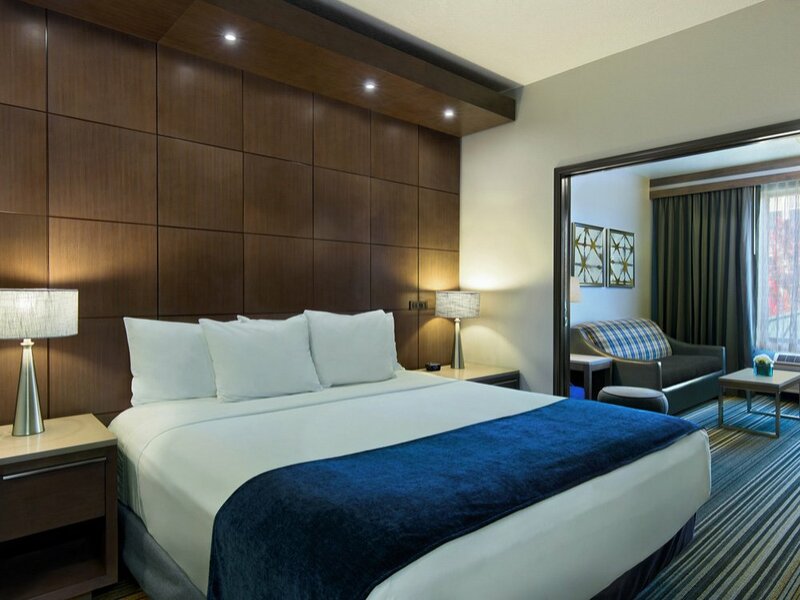 Our Executive King Suite is furnished with one king bed, a bathroom, and pocket doors, separating the bed from the sofa sleeper and work desk area. 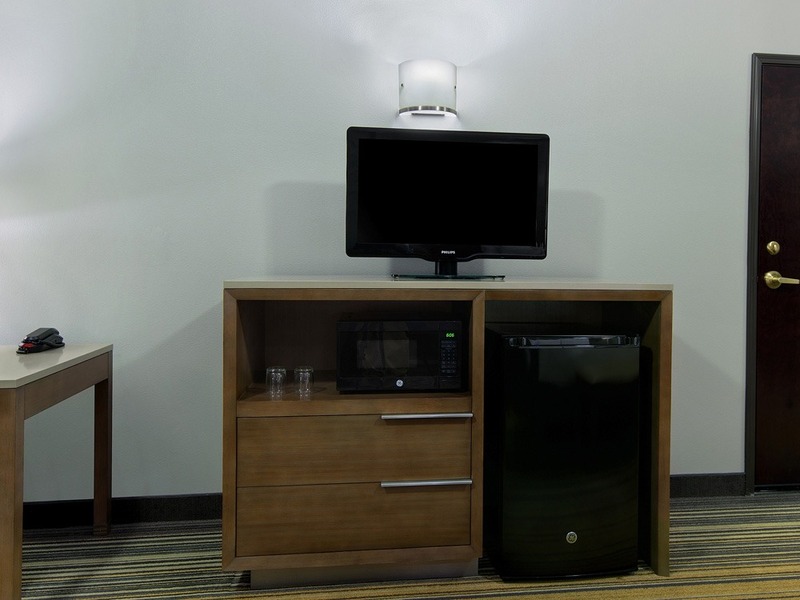 The room also includes a refrigerator, microwave, two flat-screen TVs, coffeemaker, hairdryer, iron/ironing board, alarm clock, telephone with voicemail, and secure wired and wireless internet. 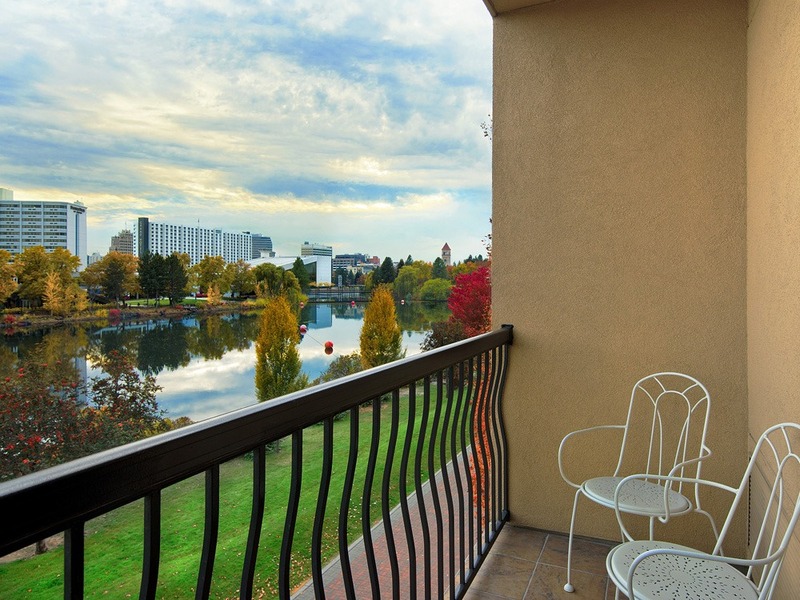 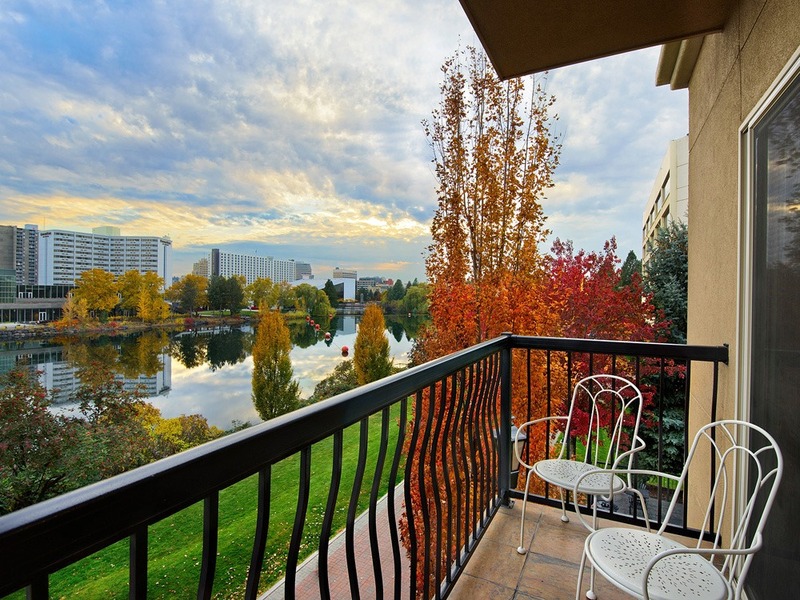 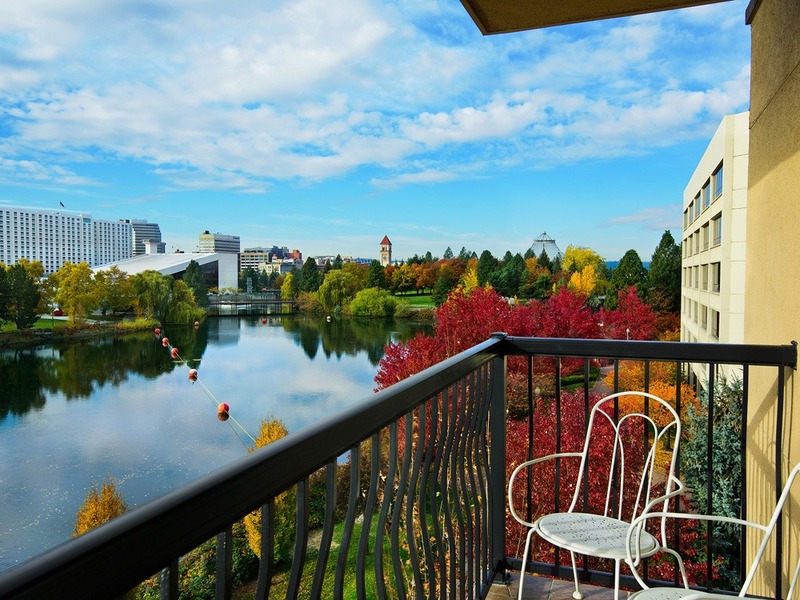 Light, bright and beautiful, our balcony suite offers a stunning view of the Spokane River and downtown Spokane's Riverfront Park. 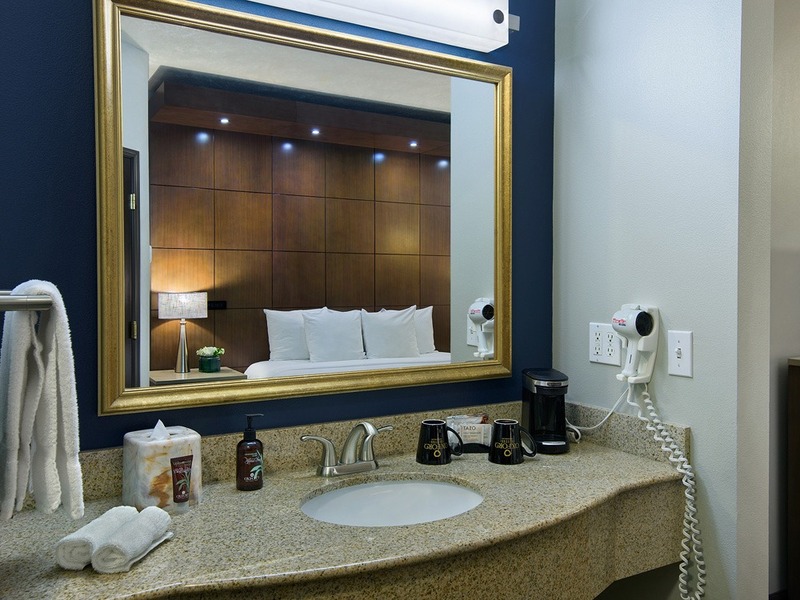 The suite offers a king bed, a bathroom, balcony overlooking the river, sofa sleeper, and flat-screen TV. 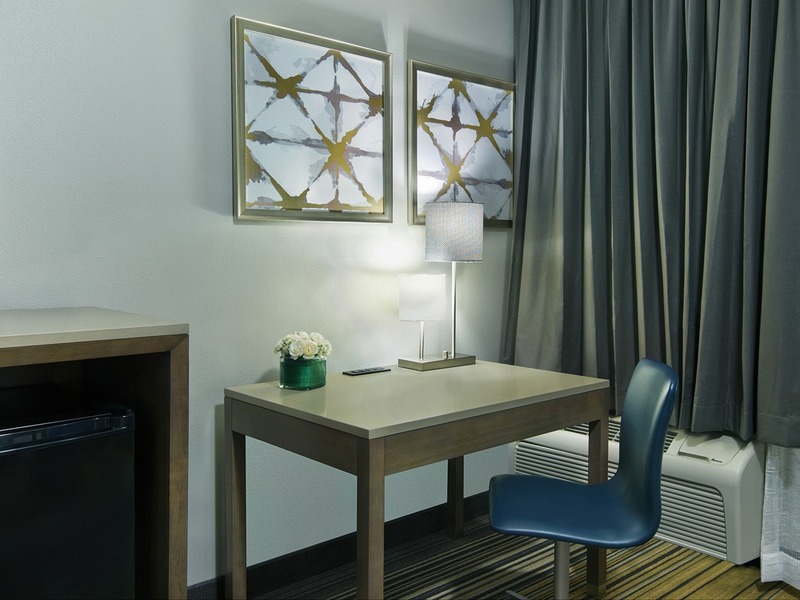 For your convenience, the room also includes a sitting area, work desk, refrigerator, microwave, coffeemaker, hairdryer, iron/ironing board, alarm clock, secure wired and wireless internet, and telephone with voicemail. 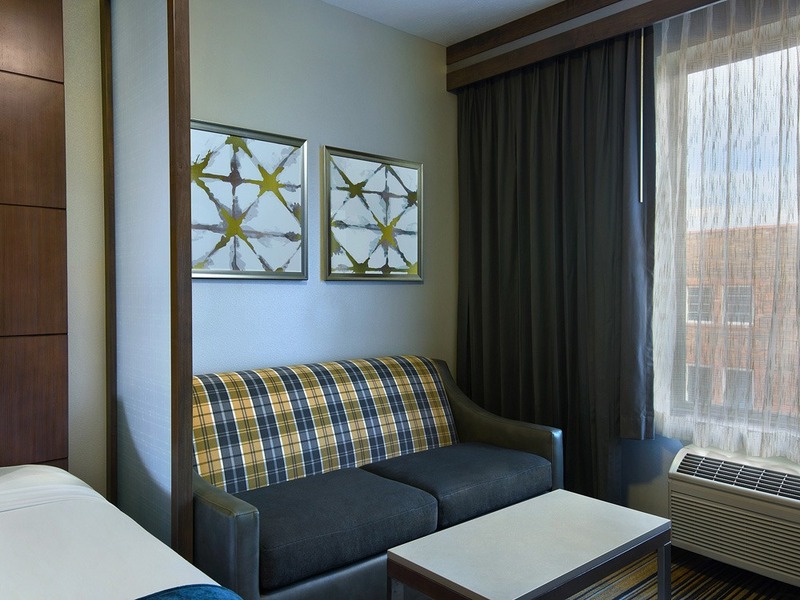 Comfy times two equals double the relaxation. 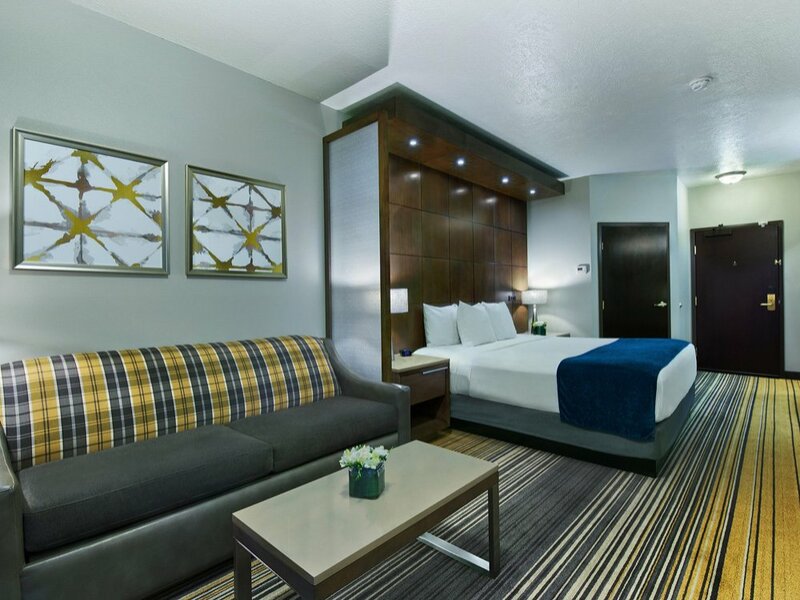 The suite includes two queen beds, a bathroom, sofa, sitting area, and a flat-screen TV. 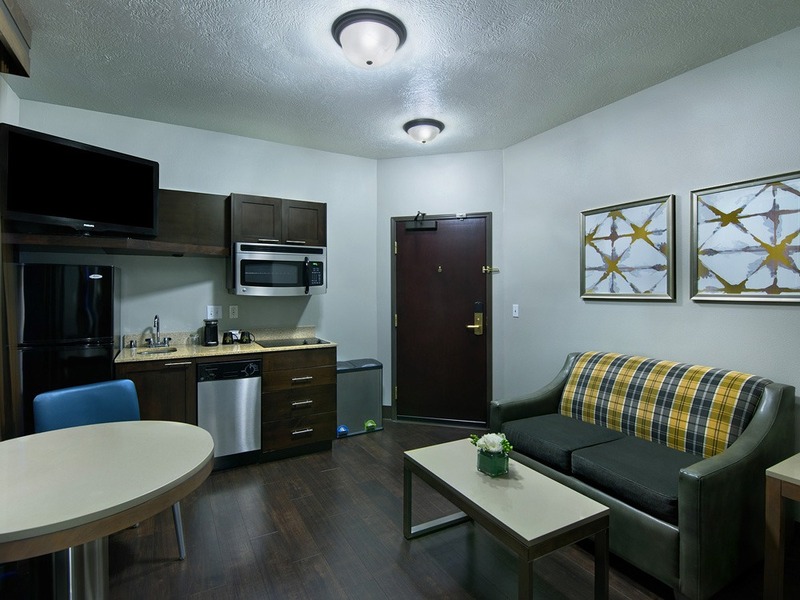 In addition, the suite offers a microwave, refrigerator, coffeemaker, hairdryer, iron/ironing board, alarm clock, secure wired and wireless internet, and telephone with voicemail. 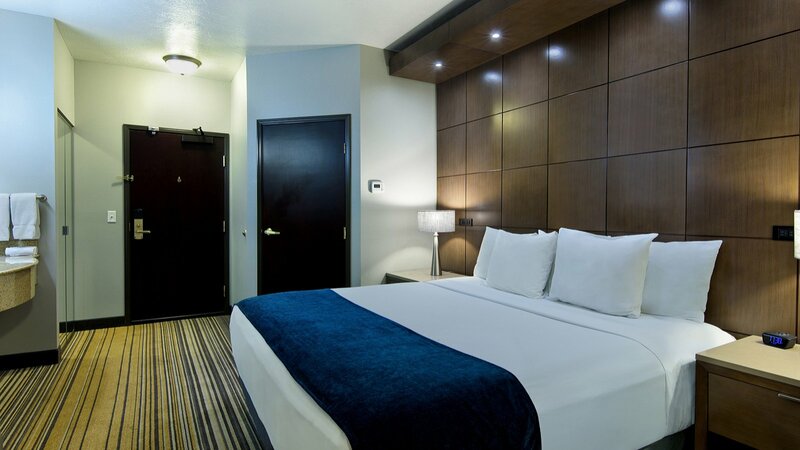 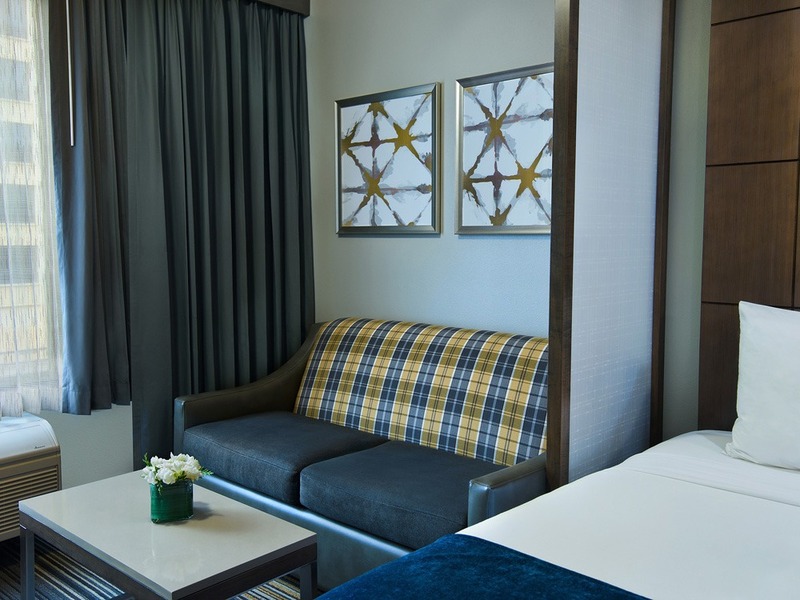 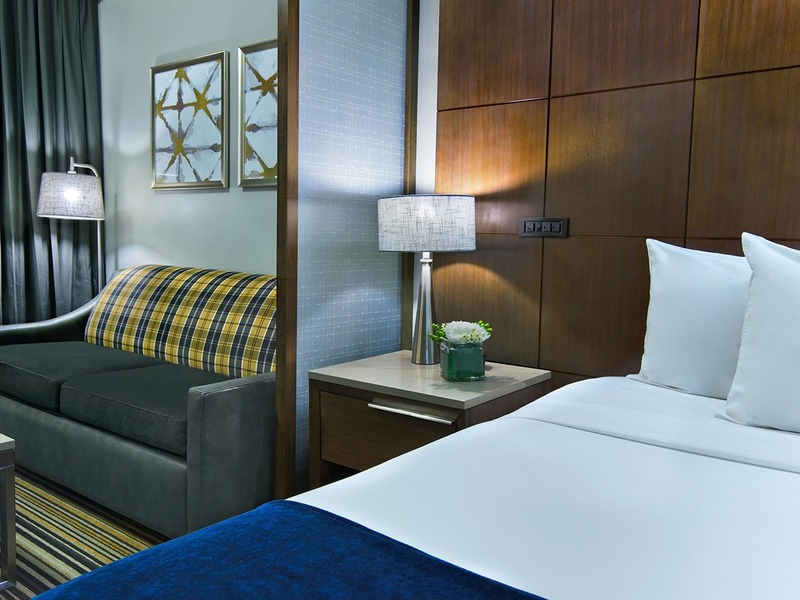 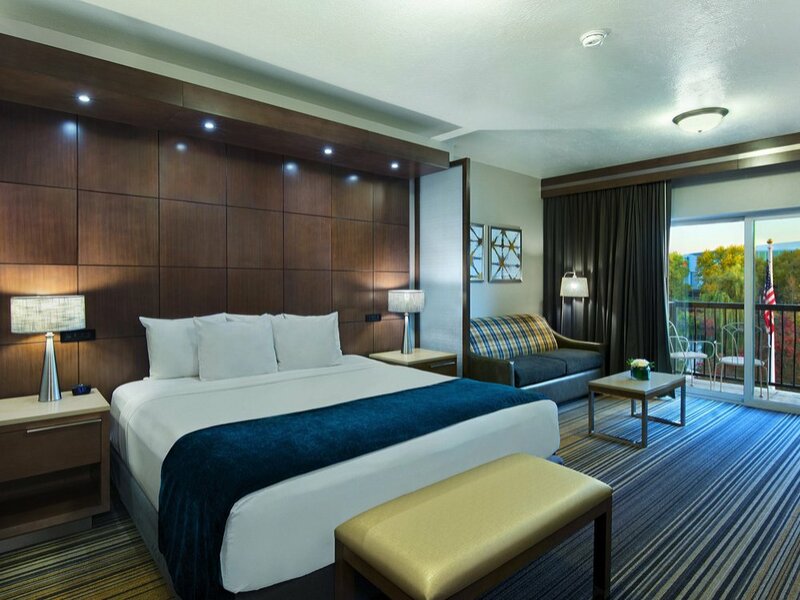 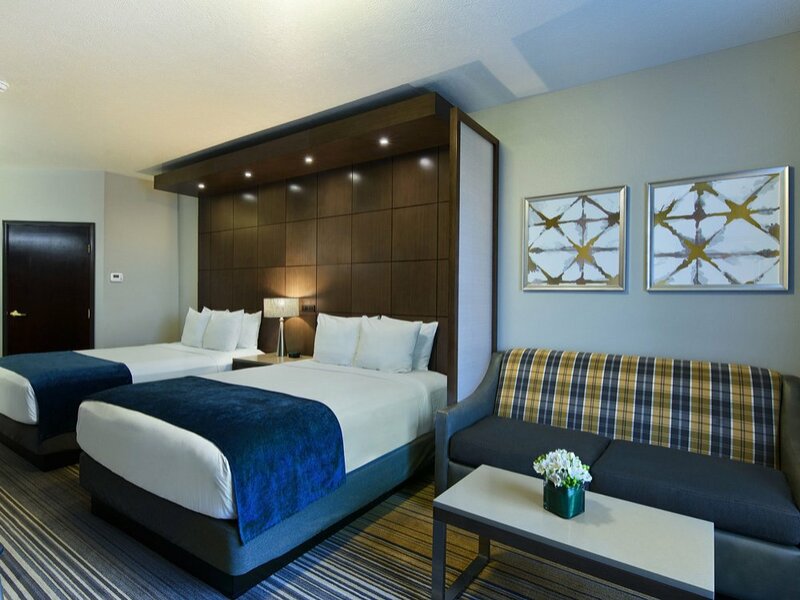 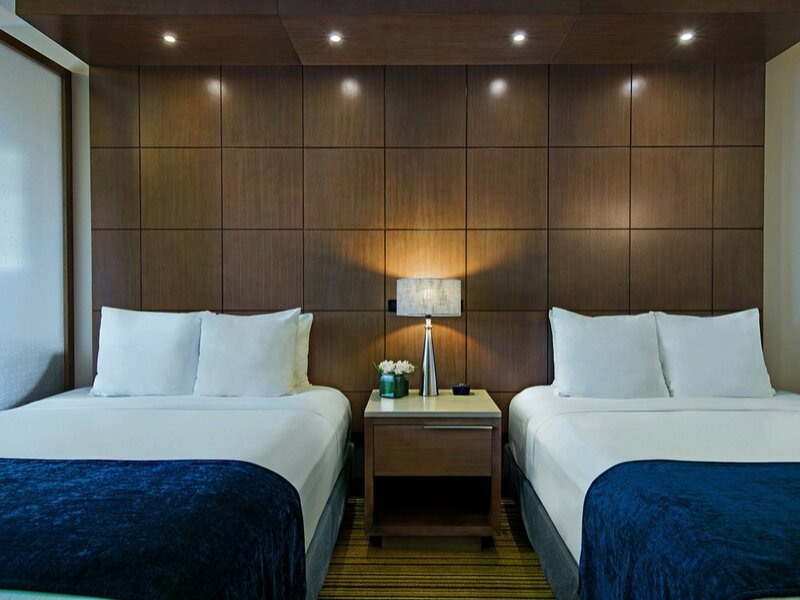 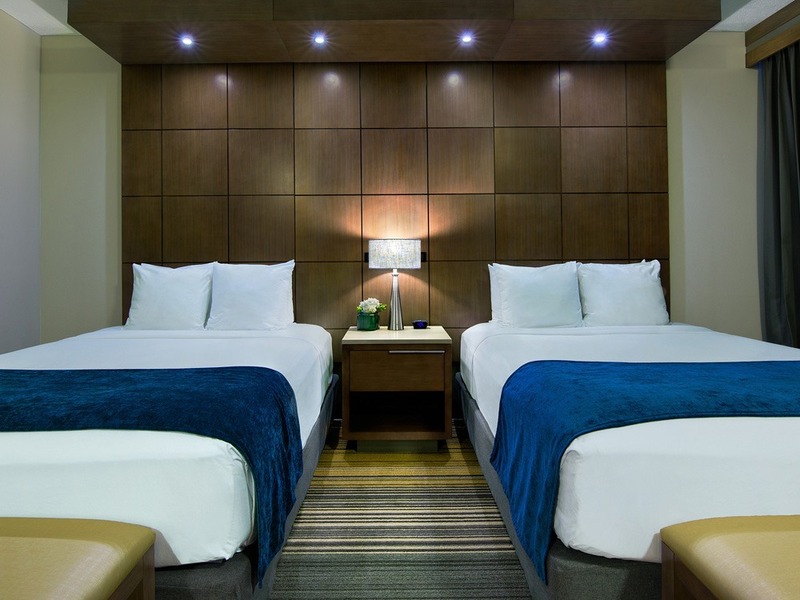 A charming king suite ideal for couples or business travelers, this room was designed with your comfort in mind. 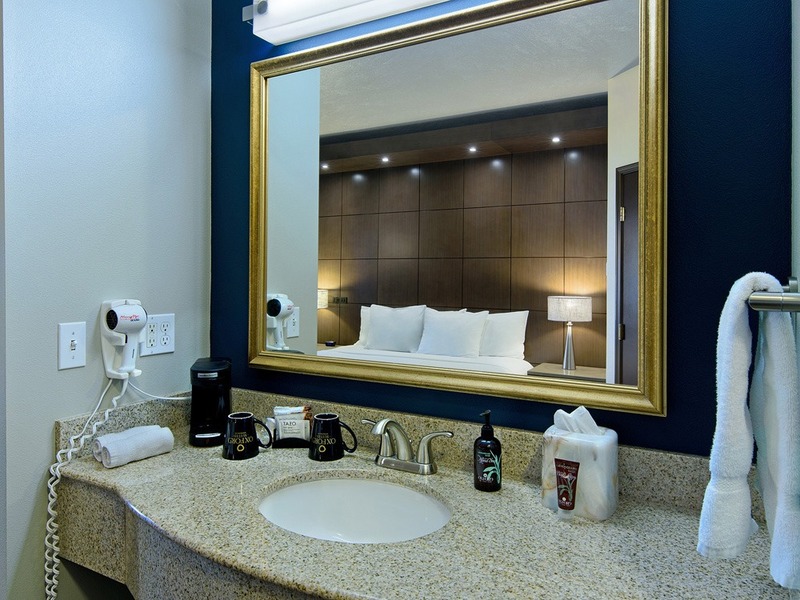 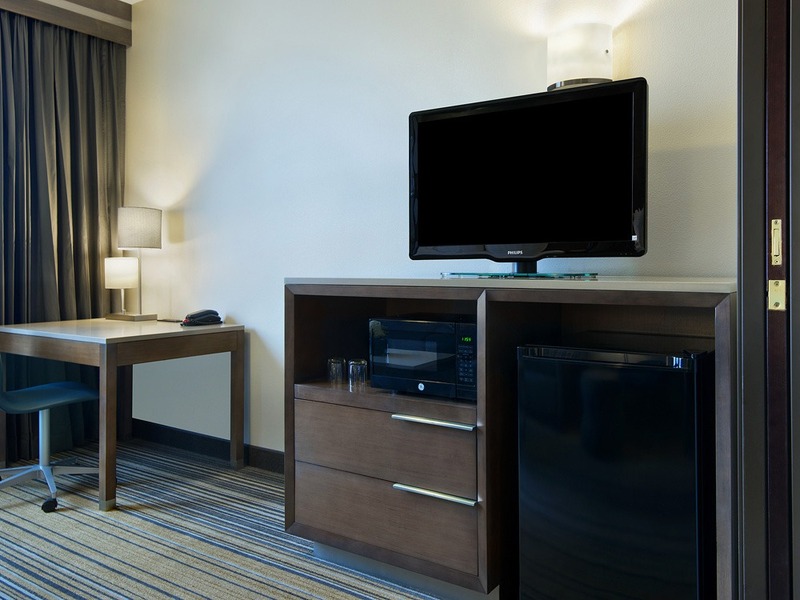 The suite offers a king bed, a bathroom, sofa sleeper, work desk, and flat-screen TV. 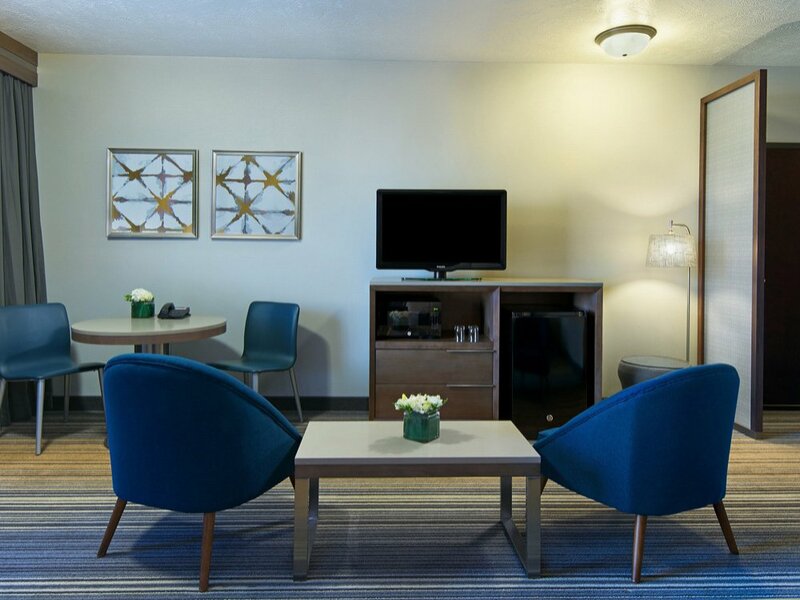 For your convenience, the room also includes a sitting area, refrigerator, microwave, coffeemaker, hairdryer, iron/ironing board, alarm clock, secure wired and wireless internet, and telephone with voicemail. 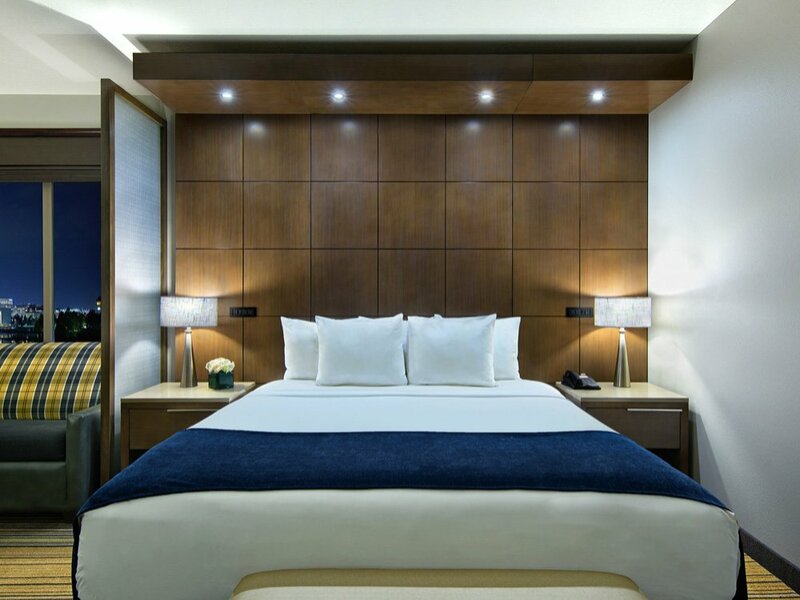 Artfully designed with extra floor space, this deluxe suite is furnished with two queen beds comfortably situated for maximum functionality. 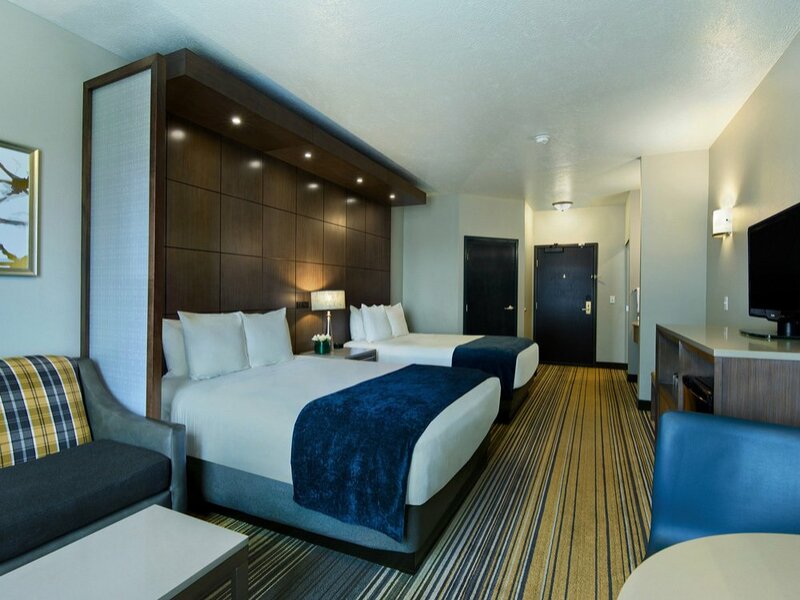 The suite includes two queen beds, a full bathroom, and a flat-screen TV. 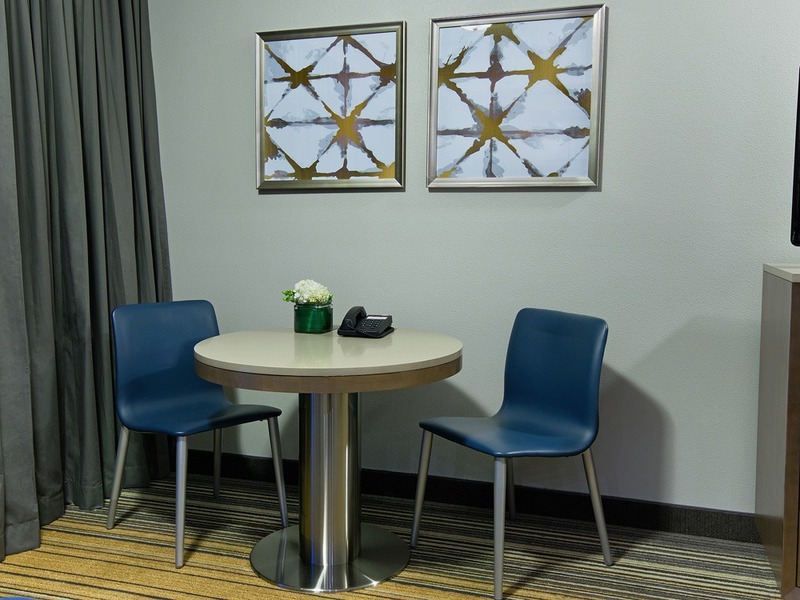 The suite also offers a sitting area, refrigerator, microwave, coffeemaker, hairdryer, iron/ironing board, alarm clock, telephone with voicemail, and secure wired and wireless internet.